Many of our Park West collectors develop friendships with the art teams over the course of their land or sea vacations. Here’s a chance to get to know our auctioneers more as they share some of their favorite adventures in the art world. Max Sepulveda and Christie Almgren have done it all—well almost. 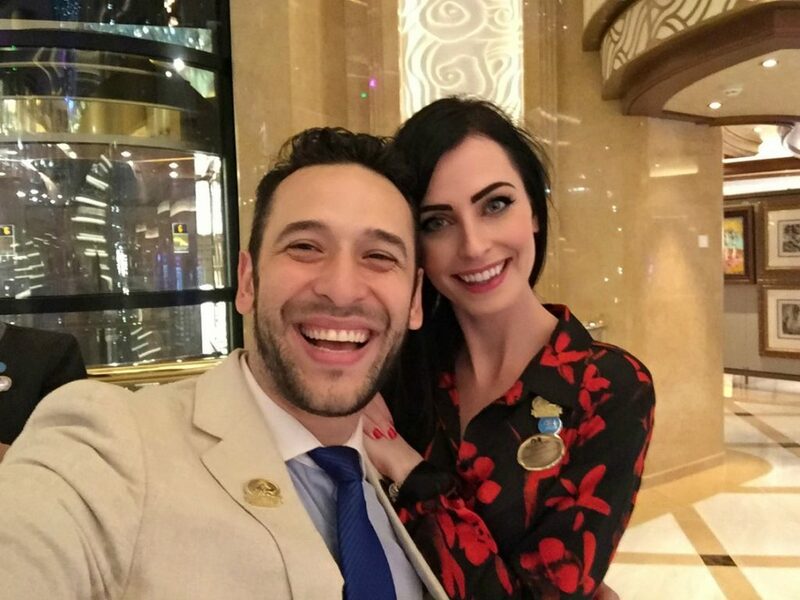 From meeting on the aptly-named Carnival Miracle to exploring the corners of five continents together, this auctioneer pair is temporarily stepping off board to get married on November 11! After working as a team for four years, Max and Christie not only developed a fairy-tale romance but also rose through the ranks of Park West’s most successful and ambitious auctioneers. This past year, Max and Christie set sail on the Majestic Princess’ inaugural cruise to Asia, setting the pace for onboard art auctions in China and Japan. Man Sepulveda and Christie Almgren enjoying life on board. Photo courtesy of Christie Almgren. Previous ships as auctioneers: Carnival (CCL) Elation, CCL Fascination, CCL Miracle, CCL Dream, CCL Breeze, Royal Caribbean International Enchantment of the Seas, Norwegian (NCL) Pride of America, NCL Spirit, NCL Dawn, NCL Sun, NCL Jewel, NCL Jade, Grand Princess, Coral Princess, Majestic Princess, and the Genting Dream. Max: Santiago, Chile—best known for its wine and soccer. Max: Before I began working on ships, I finished my doctorate in Veterinary Medicine. I decided to take a year off and just explore—this is when I came upon the notion of working on a cruise ship. I originally worked in the onboard gift shops and transitioned into working alongside Park West soon after, in 2011. After six wonderful years, I’m very happy I took the chance to fulfill my passion for travel, art, public speaking, and performance. I feel excited to go to work each day and met the love of my life because of Park West. I feel blessed to have Christie, great collectors, and the most amazing job in the world. Christie: I began my journey with Park West in July 2013 on board the CCL Miracle. I was in the process of acquiring my real estate license for California, when I realized that being an art auctioneer and working in real estate have something in common—both pivot on emotional connection and serve as an extension of the client. Max and I met on my third cruise—he was my auctioneer at the time. I never thought to mix business with romance, but you can’t help what is meant to be. My life has improved dramatically while being on ships. I’ve learned so many lessons along the way especially that your heart can never be too small. Max: My absolute favorite is Joan Miró. I have never seen an artist create such an elegant depiction of the universe. While some may just see circles, for instance, I see a sun surrounded by thousands of galaxies. Christie: Yaacov Agam is perhaps my favorite contemporary artist— his art is quite complex. I love that every shape and color represents something. His art, in my opinion, stands for peace and life of all kinds. Max: All of them! Christie and I feel like they become part of our family. We’ve had so many wonderful experiences, conversations, and memories because of our clients. Christie: We met one of our favorite pairs on the NCL Jewel—Pam and Jeff. They’re both so full of life and laughter, and actually cruised with us a couple of times. One time, one of our associates told us about “this couple” he met during Guess the Price. Apparently, the couple instantly said they were “in trouble” when they found out Max and I were on board. We were so happy when this mystery couple turned out to be Pam and Jeff. They are even invited to our upcoming wedding. Max and Christie celebrating their engagement in Juneau, Alaska, August 2016. Image courtesy of Christie Almgren. Max: Rome—I feel so alive walking through its streets. Everything feels like home there. I sometimes take my team out in Rome to show everyone the places I fell in love with, including the Sistine Chapel, the Vatican Museum, the Coliseum, and so many other wonderful places. I always feel like a tour guide. Christie: Juneau, Alaska. I’ve been there on multiple ships, but it has a special place in my heart. Our first date was on a glacier in Alaska and Max proposed last August on a glacier in Juneau! I love Rome, Tokyo, Barcelona, and Prince Edward Island too–all for different reasons. Max: Life is wonderful when we’re able to visit our families. Christie’s family is in Colorado, which is always an amazing time, and my family is in Chile. Sometimes we have a full day of barbequing with our friends and family, which usually ends up turning into a barbecue weekend. Christie: I love cooking and baking while on vacation. We go to the movies a lot too. I think we went twice a week when we were home last. Since we’re getting married on November 11, there’s been a lot of wedding planning, which I love doing. Please tell us about your experience being an auctioneer aboard ships in Park West’s Asian market. Max: Asia was an incredible opportunity for us to fully develop as professionals. I feel proud to say that the experience brought Christie and I even closer, helping us grow stronger as a couple, as individuals, and as managers. Christie: Never in my wildest dreams did I think I would eat sushi in Japan or shop in Hong Kong. I strongly suggest studying as much as you can about Asian culture, and if you’re lucky enough to travel there, the historical sites are a must-see. They are literally jaw dropping. I’m so honored to have worked with the teams we did in Asia. Each associate we had was so dedicated, strong, and never gave up. It was a memorable experience to say the least. Great couple and great article! 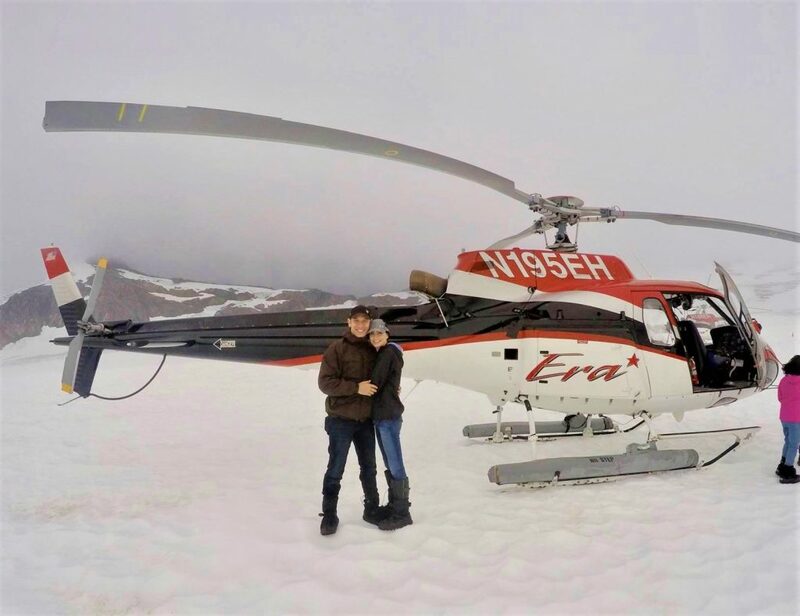 We met the “dynamic duo” that is Max & Christie on an NCL cruise last June, and were terribly excited to find that they were on our Alaskan one later that year. Drawing on their professional advice helped us add to a collection that brings us such joy on a daily basis. We connected with them on a personal level as well, and are thrilled to be attending their wedding next month! Their accolades from Park West are well deserved! Max and Christie are the most amazing couple and team I have had the pleasure of working with. We met Max and Christie in November 2014 on the Grand Princess; the start of our collecting Csaba Markus (we now have 9). Love these two and wish them a long and happy marriage! Were the two of you on NCL getaway in September this year on the Baltic cruise from Copenhagen? I bought 7 paintings on that cruise from you. Max and Christie are absolutely one of the best auctioneers in the world. Met this couple this June 2017 on board the Majesty Princess while sailing in Asia. 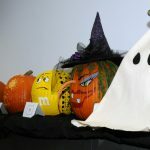 They really are a cute couple, and they made the auction so much fun, I would go evert time there was one. Congratulations to Max and Christie.We met them on RCCL a few years ago. Our anniversary is also Nov. 11!